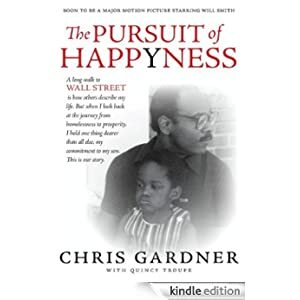 At the age of twenty, Milwaukee native Chris Gardner, just out of the Navy, arrived in San Francisco to pursue a promising career in medicine. Considered a prodigy in scientific research, he surprised everyone and himself by setting his sights on the competitive world of high finance. Yet no sooner had he landed an entry-level position at a prestigious firm than Gardner found himself caught in a web of incredibly challenging circumstances that left him as part of the city’s working homeless and with a toddler son. Motivated by the promise to never abandon his own children, the two spent almost a year moving among shelters, “HO-tels,” soup lines, and even sleeping in the public restroom of a subway station. This is the story of a man who breaks his own family’s cycle of men abandoning their children. Buy this memoir today for only $1.99.